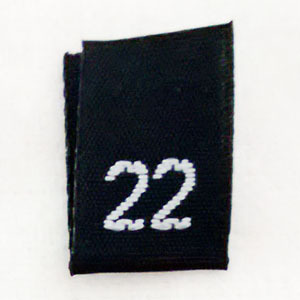 Professional quality taffeta weave, sew in size labels. Dimensions are 0.5 inches wide by 0.75 inches tall. Tags are black with white lettering.